FlightSafety offers comprehensive, professional training on ATR 42/72 aircraft. Our highly qualiﬁed and experienced instructors, advanced-technology flight simulators and integrated training systems help ensure proﬁciency and safety. 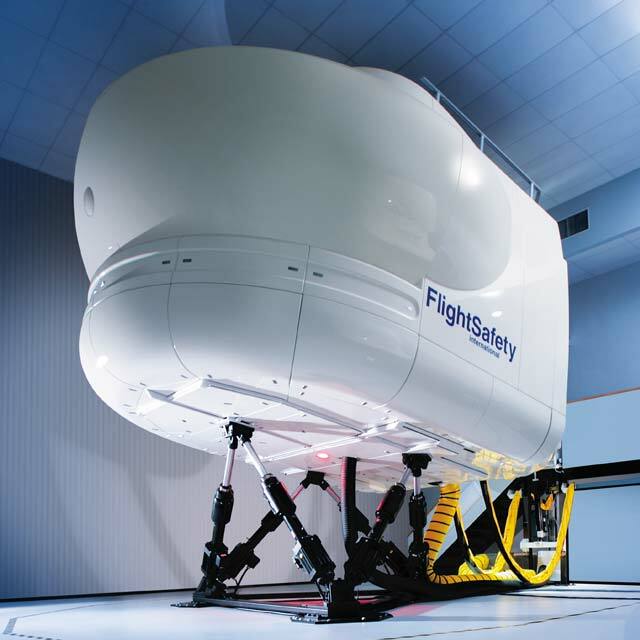 Pilot training for the ATR 42/72 is available at the FlightSafety Learning Center in Houston, Texas. Maintenance training for the ATR 42/72 is also available in Houston, Texas. The Learning Center in Houston, Texas, offers pilots and maintenance technicians of ATR 42/72 aircraft the resources to achieve proficiency and safety. Get a head start on your training with FlightBag, our second-generation training materials app. Download complete training and pre-course study materials and access them wherever you are from any device. Materials are updated automatically as new information becomes available, yet it keeps all of your previous notes. Our latest ATR 42/72 Level D simulator, designed and manufactured by our own world-leading simulation engineers, is equipped with VITAL IX, Honeywell Trimble HT 1000 avionics and Enhanced Ground Proximity Warning System (EGPWS). Customized training programs are available to meet specific training needs. A wide variety of specialty and enrichment training is available through our eLearning and LiveLearning courses. We offer a wide range of training for technicians who maintain the ATR 42/72 aircraft. These courses include courses such as: Initial, Update, Advanced Troubleshooting, Engine Run & Taxi and Avionics courses. Advance your career while enhancing safety and improving dispatch reliability with FlightSafety’s exclusive Master Technician training for the ATR 42/72. Master Technicians are recognized throughout the industry as having achieved the pinnacle of training for their aircraft. We provide cockpit smoke training utilizing EVAS (Emergency Vision Assurance System). We also provide professional scheduler and dispatch training and flight attendant training designed specifically for commercial operations and tailored to your distinct needs.